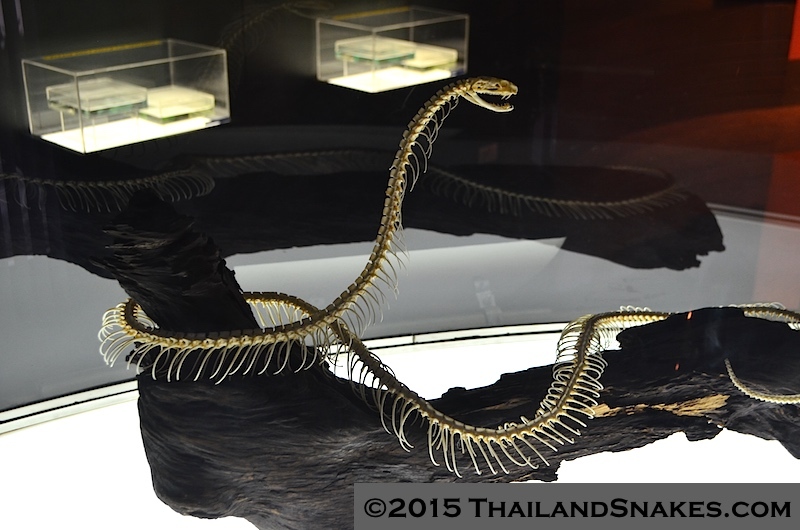 Full skeleton of a King Cobra. Ophiophagus hannah. The world’s largest venomous snake grows to over 5 meters in length. If you haven’t yet been to the Queen Saovabha Memorial Institute (Red Cross Snake Farm) in Bangkok, it is well worth a trip. 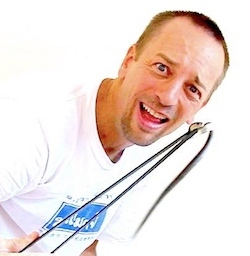 The fee, 200 THB for adults and 50 THB for children is reasonable. 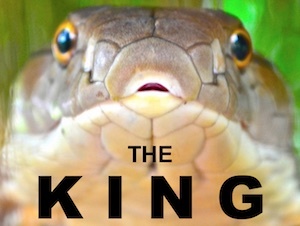 Though I don’t like the idea of seeing snakes in captivity for any reason, I go anyway because it’s there. I just don’t see the world changing to a snake friendly place, an animal friendly place, anytime soon. I figure by going to see the snakes there I’ll learn something and my curiosity will be sparked. I figure I’ll spend more time looking for snakes and documenting them at this site for others to learn about. Without keeping them in a tank. 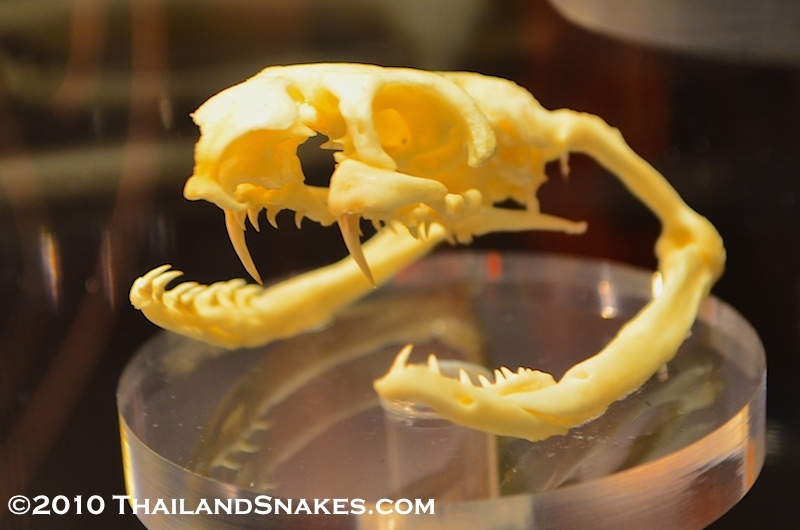 Anyway – here they are, some of the most venomous snakes in Thailand – their skulls, and in some cases full skeletons. White-lipped pit viper skull. Trimeresurus albolabris. 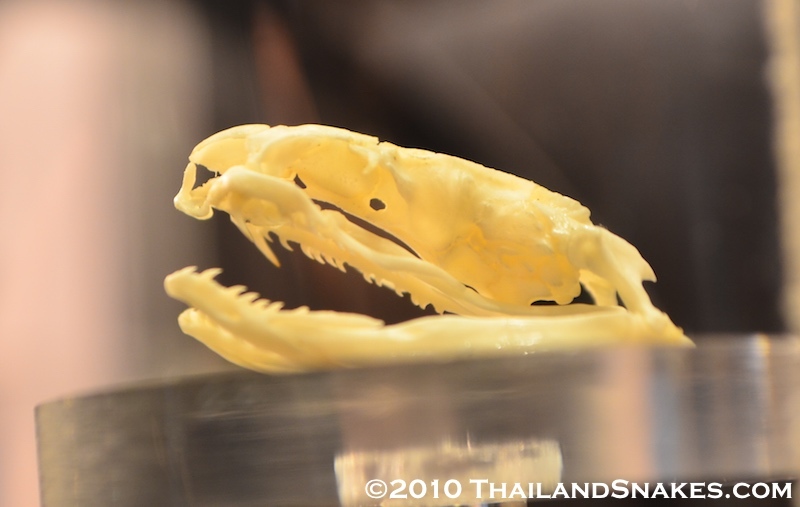 Russell’s viper skull from Thailand. Daboia russelii siamensis (Daboia siamensis). 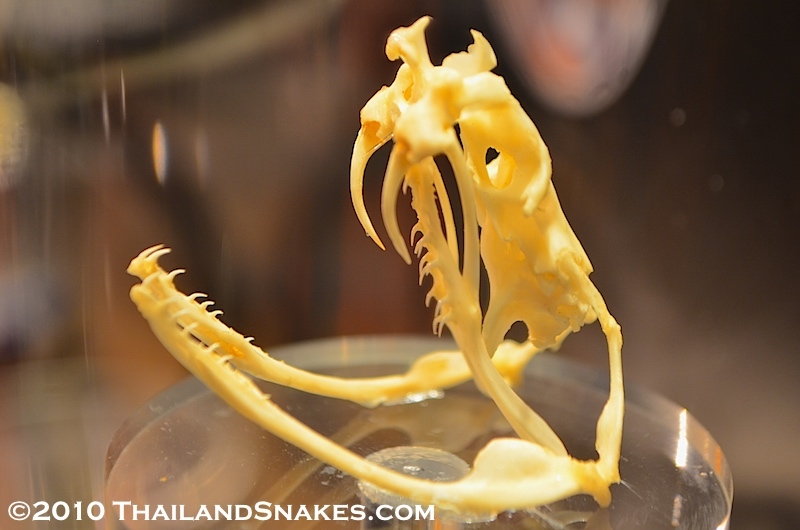 King cobra skull from Thailand. Ophiophagus hannah. 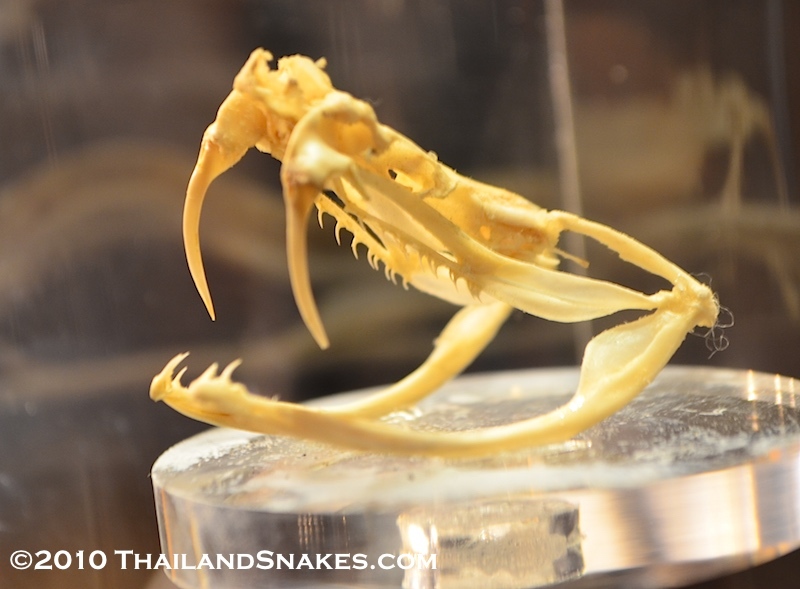 Skull of a monocled cobra in Thailand. Naja kaouthia. 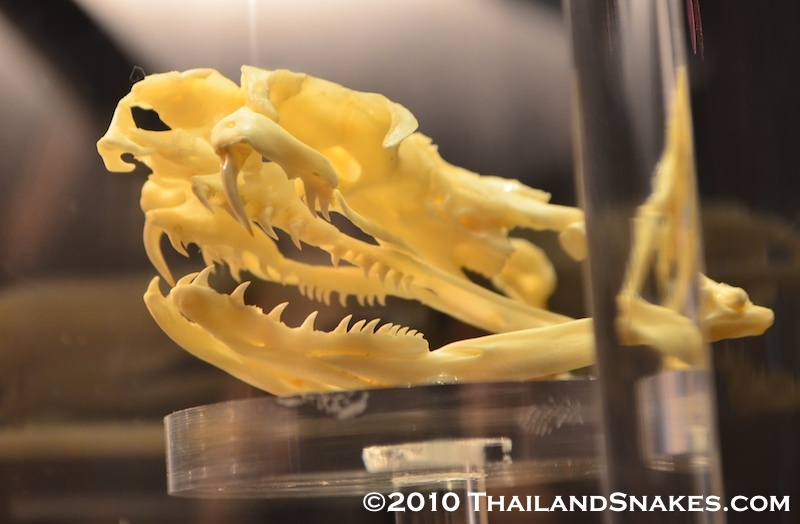 Skull of Malayan pit viper in Thailand. Calloselasma rhodostoma. 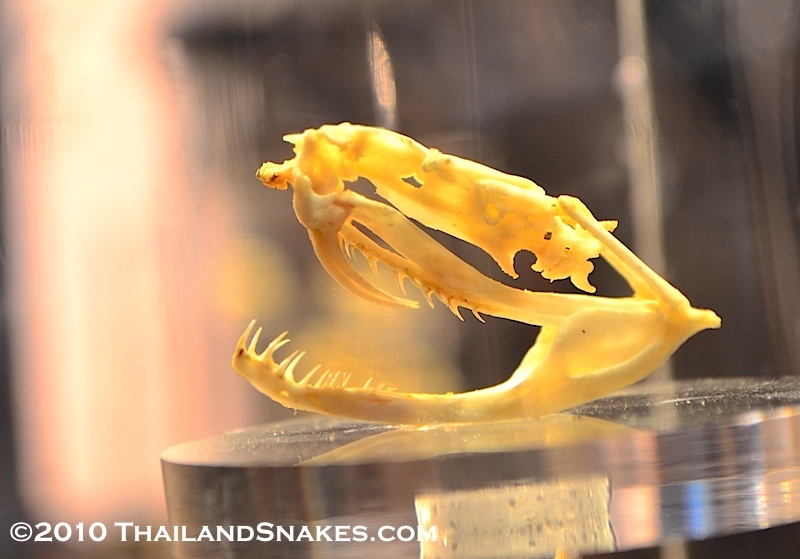 Skull of banded krait in Thailand. Bungarus fasciatus. 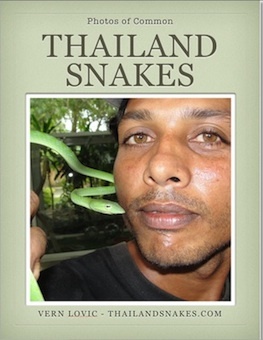 If you haven’t seen my YouTube channels, I have one named Thailand Snakes here, and another one, my personal channel that I have put many more snakes at here.